Midori and I find a shell beach in Foster City [13 photos] Midori took me to my birthday lunch at Sweet Basil in Foster City. We decided to include a walk along the bay. Midori wanted to walk right by the water instead of on the paved path. Good call because we found it was all shells, so cool. 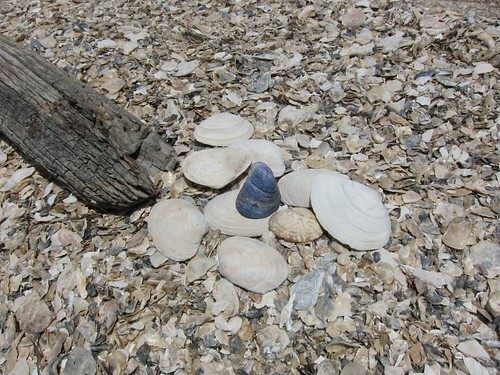 A real shell beach!